There’s a serious pilot shortage right now in the United States, and there’s an even bigger shortage of pilots in Asia. In fact, due to the retirement of commercial airline pilots coupled with more strict training requirements, Boeing says we’ll need 550,000 more pilots worldwide by the year 2034. It’s a great time to become a pilot! And Phoenix East Aviation is standing by, ready to train the world’s future pilots. That’s why we made a trip to ABACE (the Asian Business Aviation Conference & Exhibition) this year – to focus efforts on recruiting new students at the largest aviation industry exhibition in the region. It was an opportunity to network with other aviation businesses in the world’s fastest-growing aviation mecca, and to spread that word that the training program at PEA is one of the fastest and most efficient way to become a commercial airline pilot. So if Asia is the place to be for pilots these days, why come to the United States for flight training? That’s easy: because the U.S. has a flight training industry unlike any other country. It’s highly efficient, extremely safe, and inexpensive. And because when it comes to accommodating international students, Phoenix East Aviation does the job right. At PEA, you can start with no experience at all and obtain the training to become an airline pilot within just a few years. We provide everything you need to become a pilot, and we’ll even assist you with finding that dream job after you earn your pilot certificates. From your private pilot certificate to a commercial multi-engine rating, you’ll obtain high quality training in advanced aircraft and simulators with professional flight instructors, and you’ll graduate with the confidence and skills necessary to enter a growing industry. What makes PEA different that other fast-track flight programs? 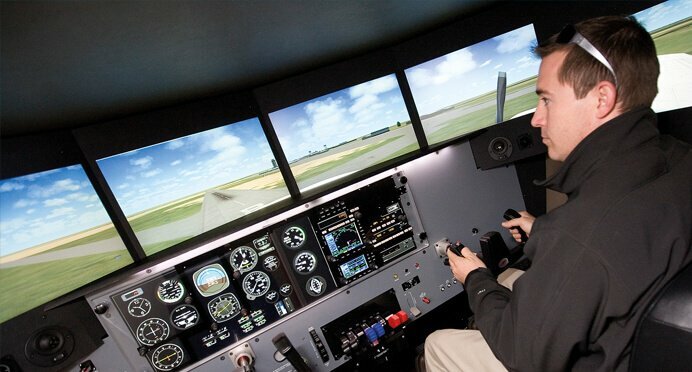 At PEA, flight training is only part of the equation. We understand that coming to the United States can be intimidating for international students. It’s a complex process, and we want to make that process as easy and seamless as possible. To ease the burden of unfamiliar territory, we’ll help prospective students navigate the Visa process and the TSA background check. We’ll assist students with housing options, set up a U.S. checking account for them and even help arrange a mobile phone service. Students at PEA come from 60 countries. (In fact, only about ten percent of students are from the United States!) And 13 percent of PEA’s students are women – well above the average number of female student pilots. We’re proud of our diverse group of students, instructors and staff, and we’re trying to spread the word to prospective international flight students. Interested in becoming a pilot? What are you waiting for? Find more information, or apply to our training program here! I am more than interested to become an airline pilot! Willing to learn and serve. Thank you!